Wrote the software requirements specification for the “Fast Emitter Location System” (FELS) which is to be used on the Tornado military aircraft. The software requirements cover the control of the receiver, emitter identification, data storage and cockpit interfaces. Design and development of software for an “Ethernet Sniffer” which reads TCP/IP packets and performs reconstruction and display of the original messages. The software was developed using GNU C++ and the Qt graphical interface toolbox on Linux. Wrote the FELS System Test Procedure which details the test steps for testing the system in the Tornado avionics rigs. Wrote the software requirements for the Ethernet version of the Solid State Recorder, which is used in the Tornado for in-flight data recording. The requirements involve the protocols for the Ethernet interface and MIL-STD-1553 interfaces. Developed software using Microsoft Visual Studio C++ to read data recorded during flight into a database (mySQL). This required converting software written in 68000 assembler into Ada, to test the feasibility of using Ada on the Tornado aircraft. Then analysis of the memory requirements and the run-time performance compared to the original software in assembler. 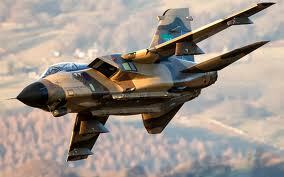 The software was the first time Ada was used during actual flight conditions on the Tornado aircraft. This aircraft contains a distributed network of embedded computers, connected together using MIL-STD-1553 buses. The task was to implement bus control software which monitored the buses for transmission errors and performed re-routing of data messages when errors were present. It could also pass control of the bus to a back-up bus controller. The structured design for this application was performed with a design tool called ProMod. The software was then implemented using Tektronics 68000 assembler, using a dedicated real-time operating system called HARTOS, on a VAX host computer. Also performed debugging in the Tornado test rig, using the Tektronics debugger.